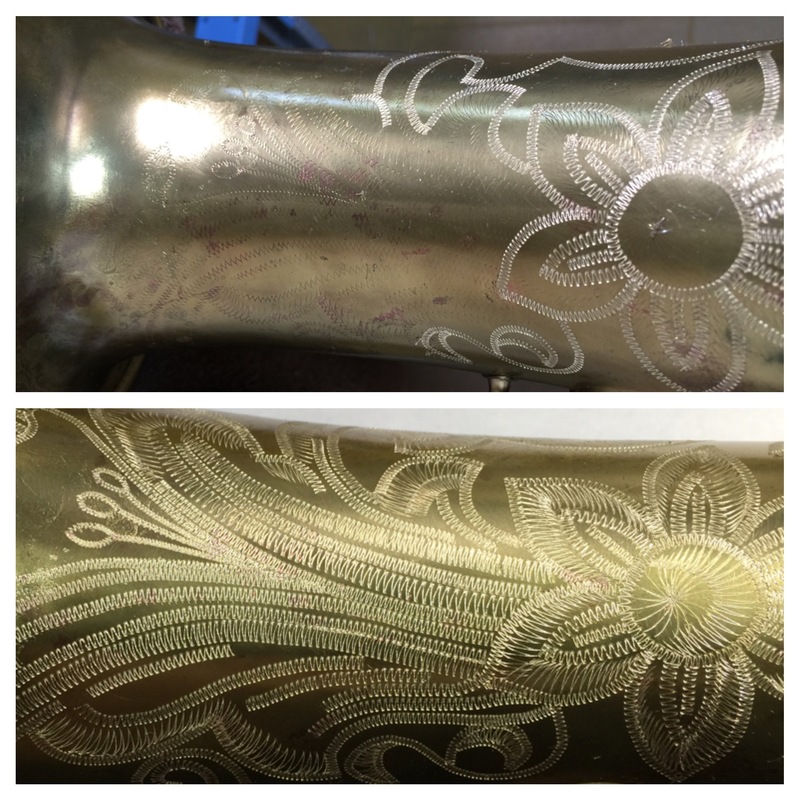 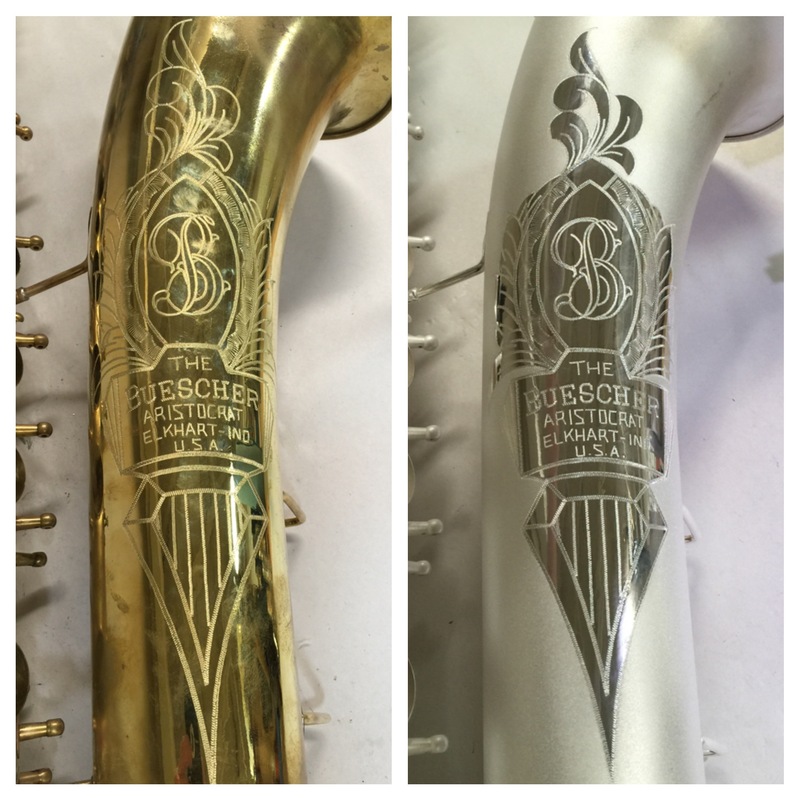 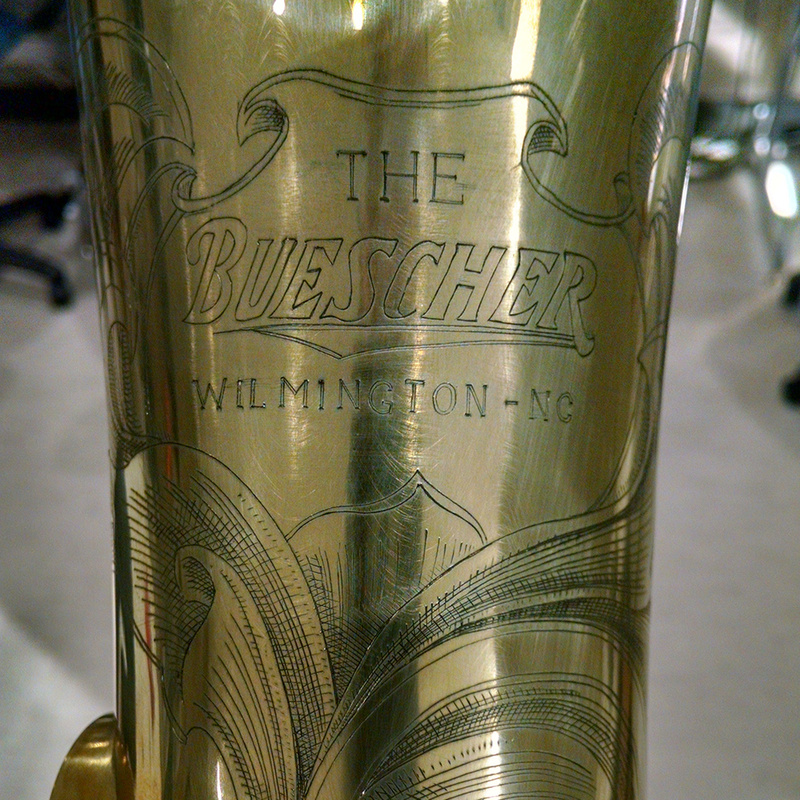 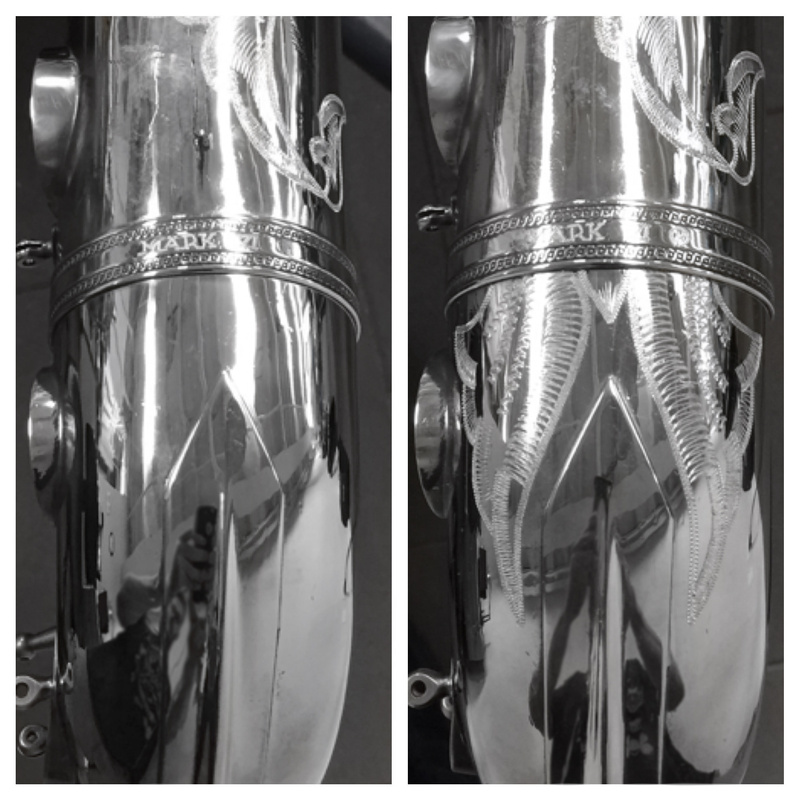 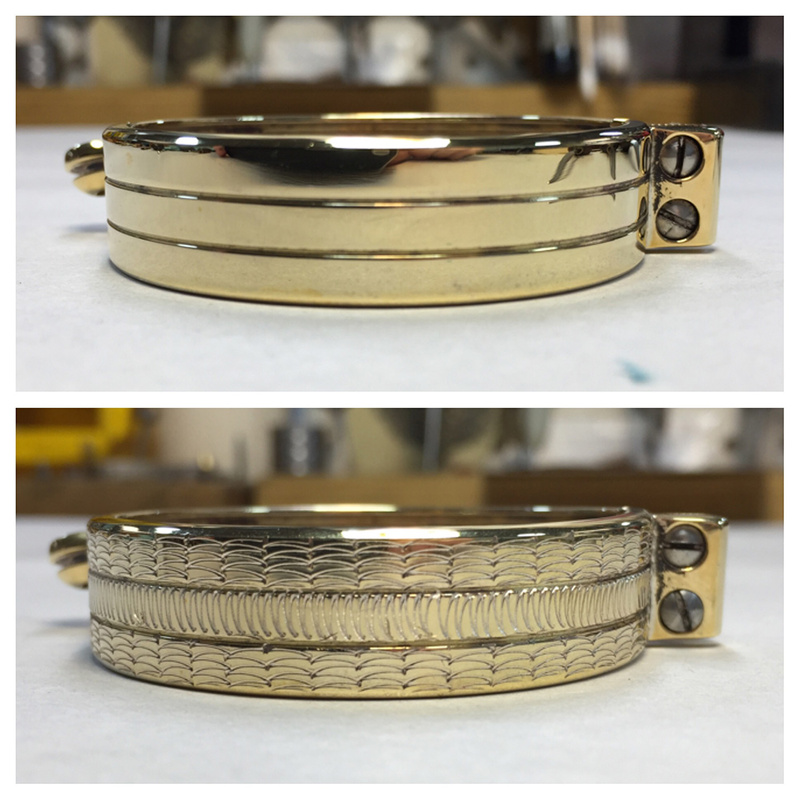 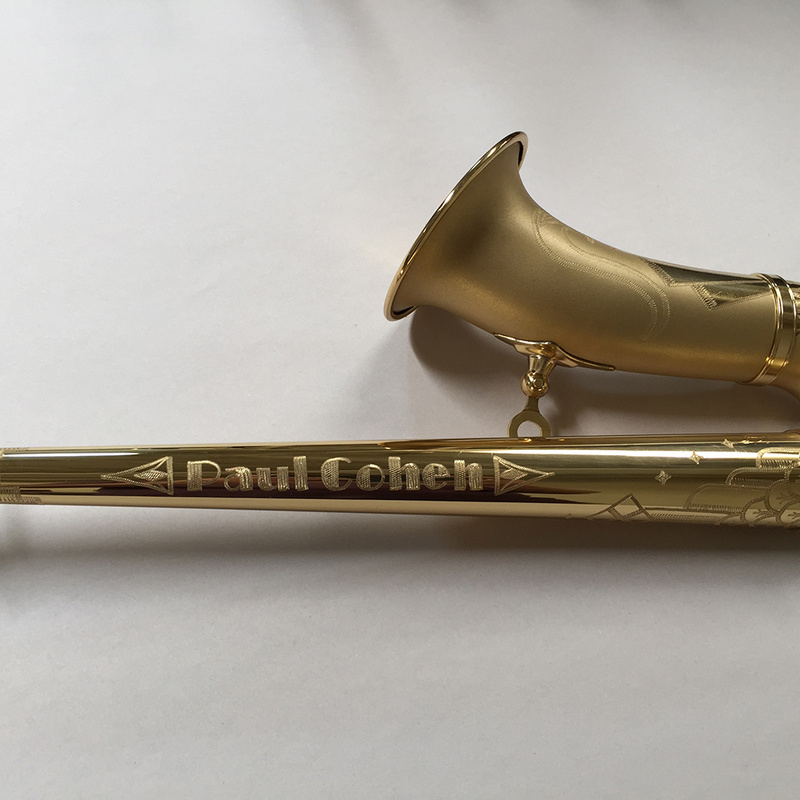 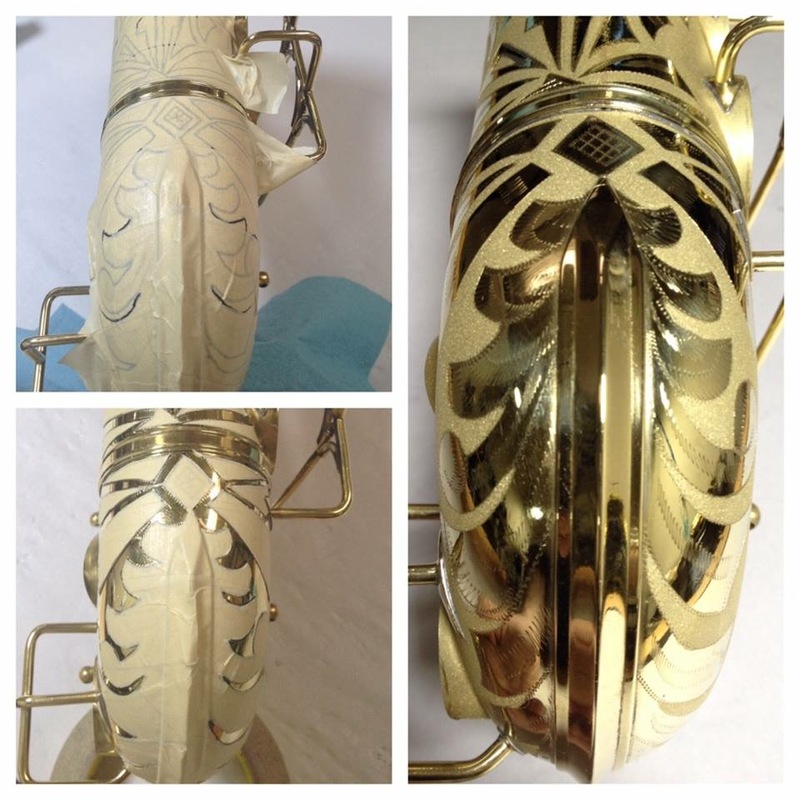 Engraving is one of the most obvious and bold thing you can do to alter the look of a saxophone. 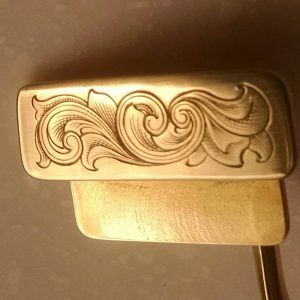 It’s a work of art scribed right into your bell. 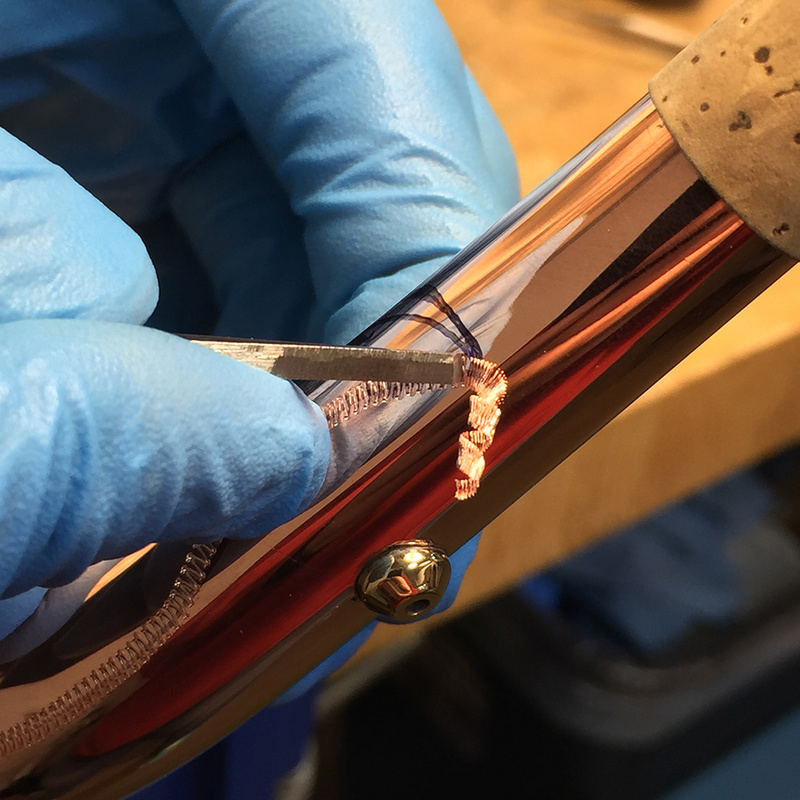 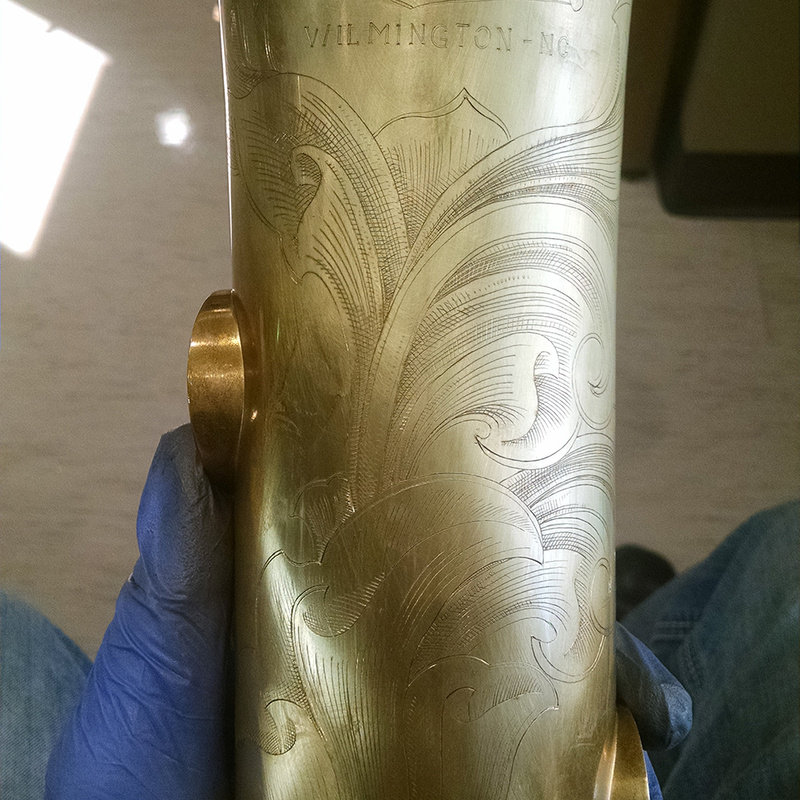 After working with so many engravers, integrating hundreds of re-engravings, enhancing, and customizing horns, we are fortunate to have amassed an extensive knowledge of the art of engraving. 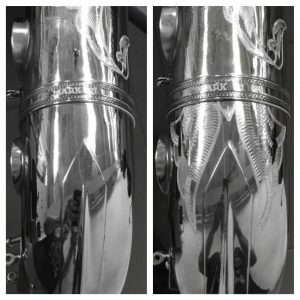 We work with several world-class engravers, including one such engraver who we’re lucky to have in-house, who each have a unique skill set and style. 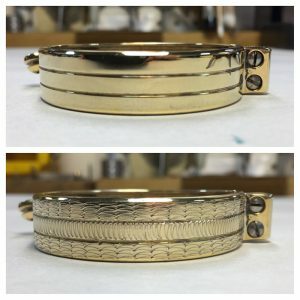 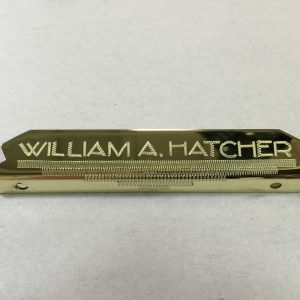 Some are excellent at re-engraving, some are creative with designs, some engravers use time-honored techniques to create new designs and some use modern tooling to create intricate 3-dimensional works. 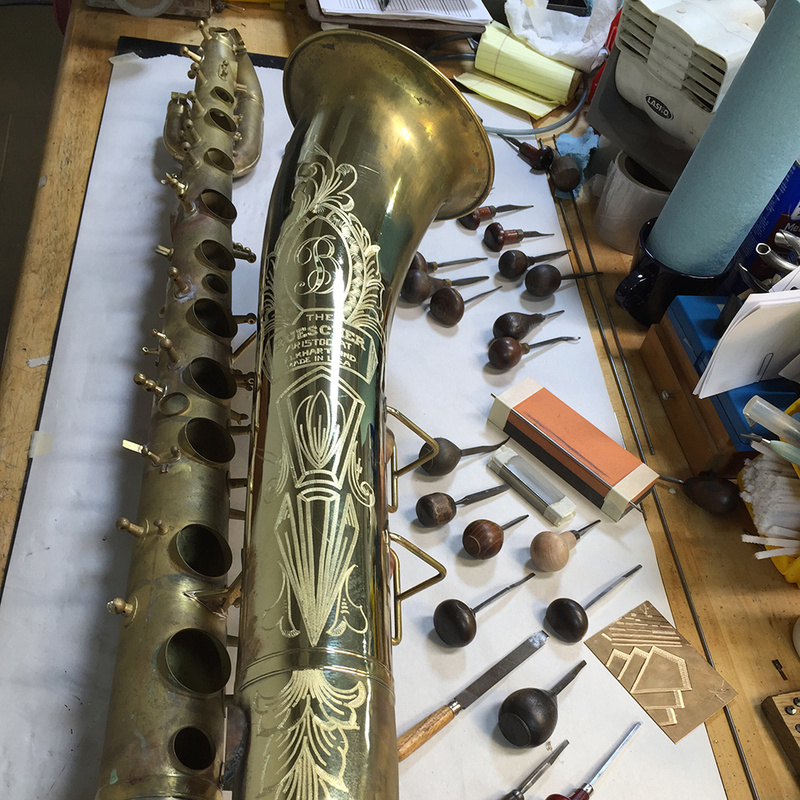 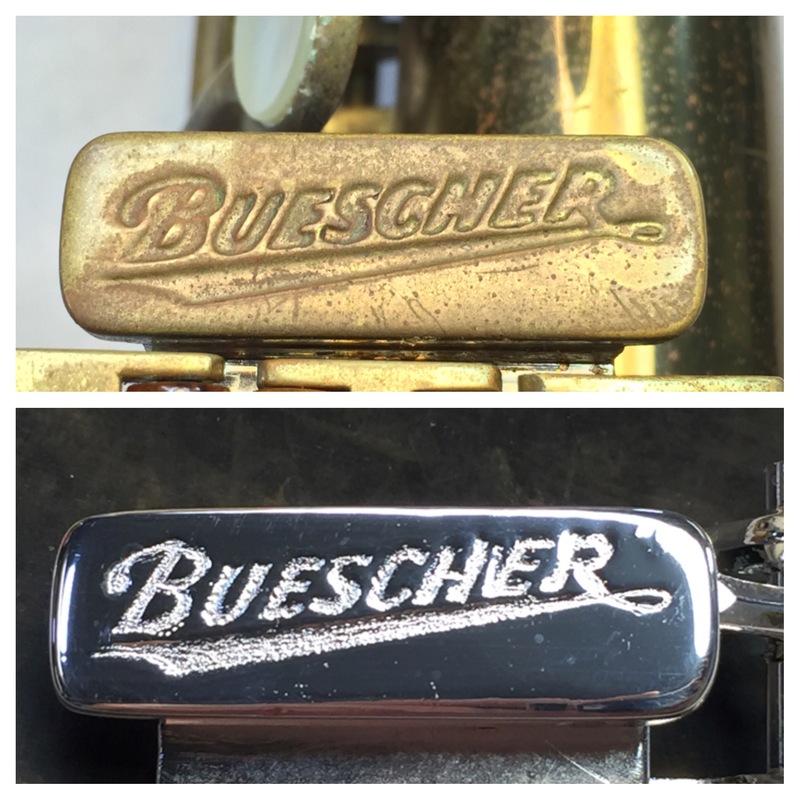 Depending on what you want, we’ll pair up your saxophone with the best engraver in that style. 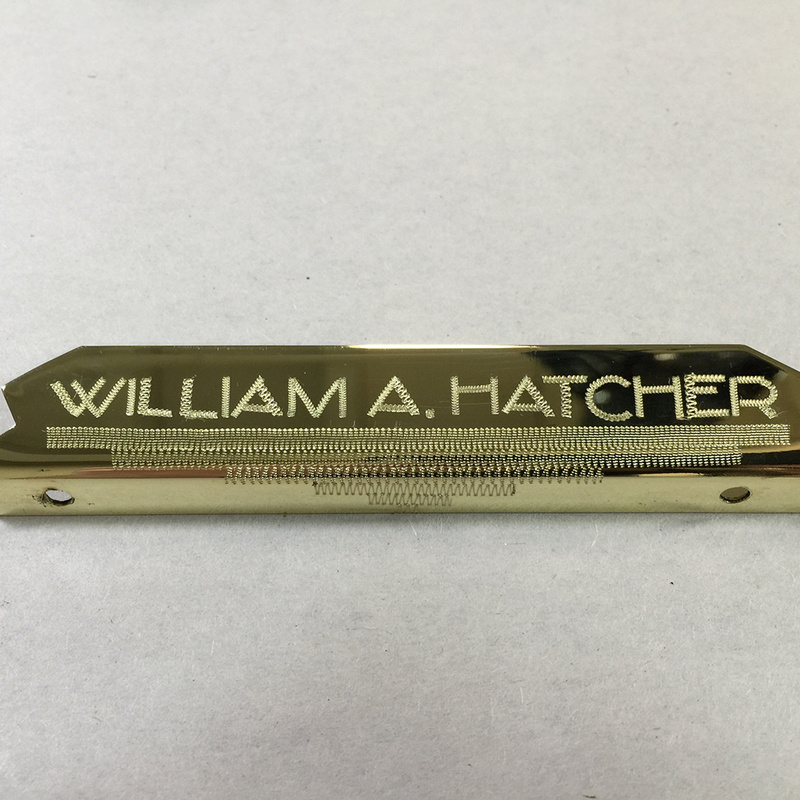 For a classic look, the engraver will simply restore the existing engraving to make it stand out more. 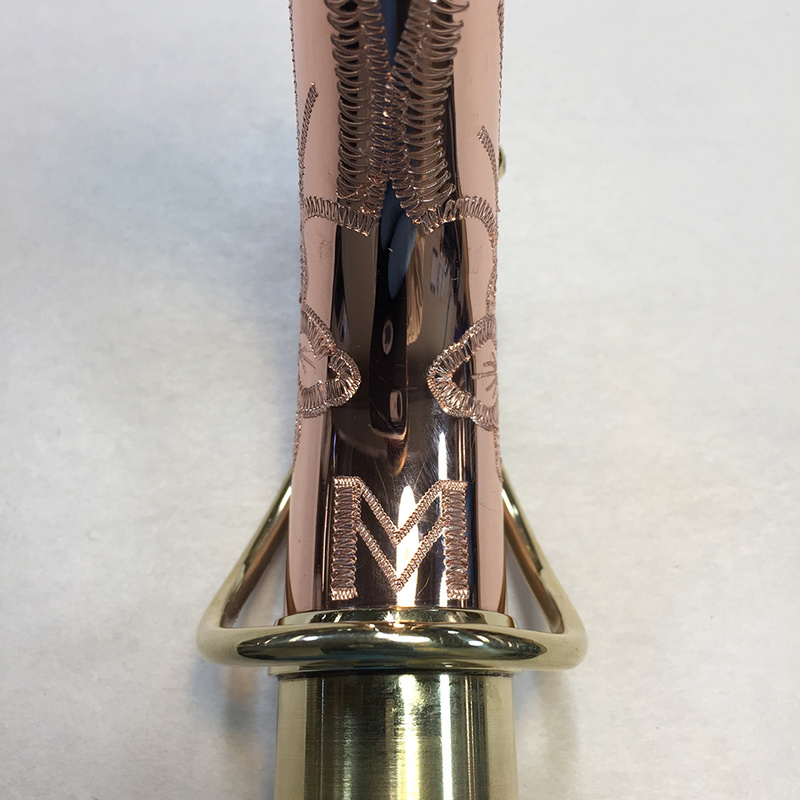 For a little more flair, the engraver can add additional engraving in the same style to more of the bell and onto the bottom bow. For a totally customized and unique look, tell us what you want and we’ll pair your saxophone up with the right engraver! 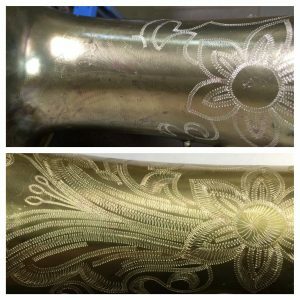 There are a lot of possibilities here, with floral patterns, art deco, continuous patterns on the body, your name, you name it! 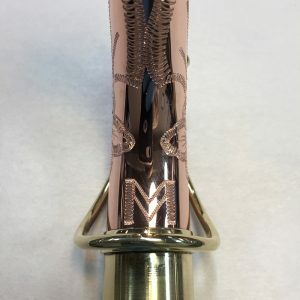 If being different isn’t enough for you and you love the detail, you may want straight cut engraving. 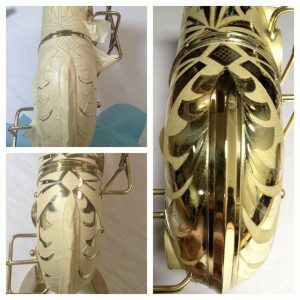 This work is done with modern pneumatic tools and can be as detailed as you like. 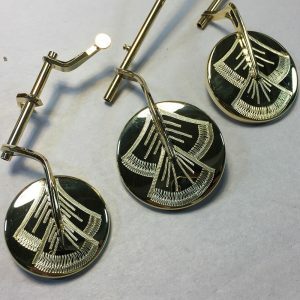 The look is very unique.